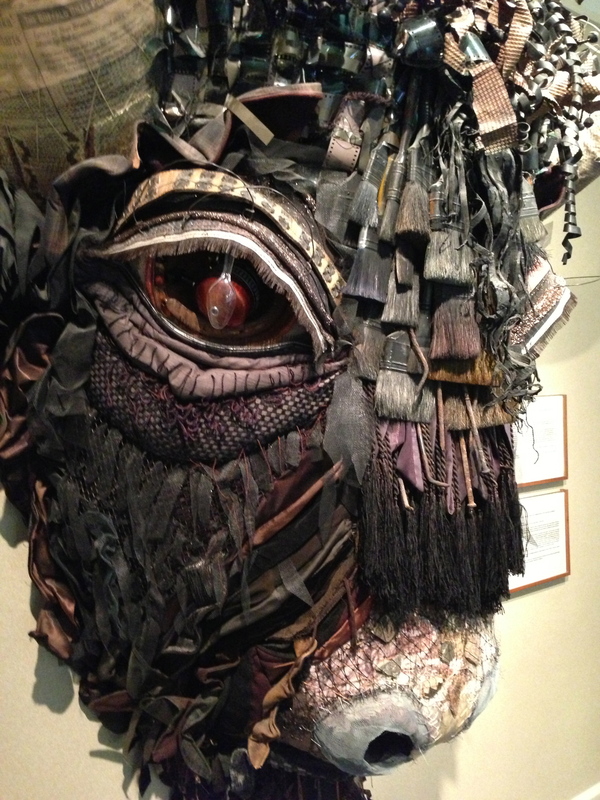 Last week I was lucky to attend this year’s annual Studio Art Quilt Associates Conference held in inspirational Santa Fe, New Mexico, a city fully saturated with ART! 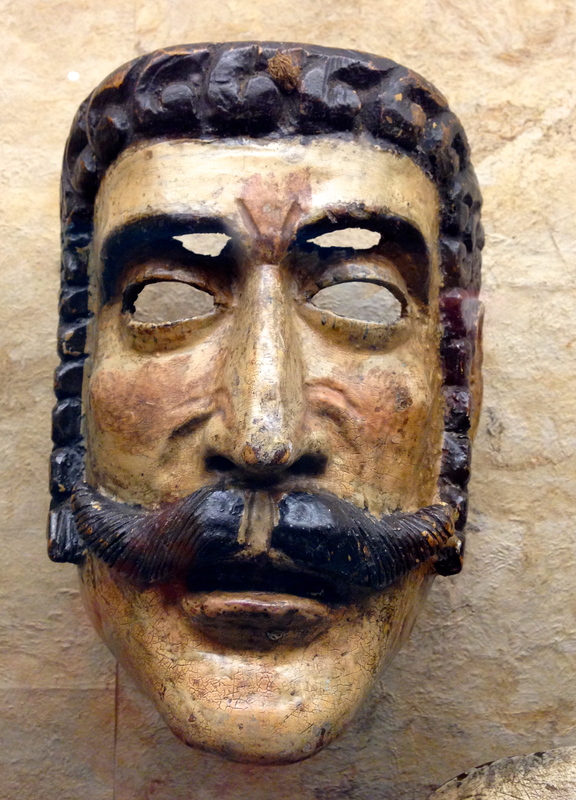 It was my first trip to Santa Fe and it exceeded all my expectations. The SAQA Conference was jam packed with activities for the 200 of us attending. 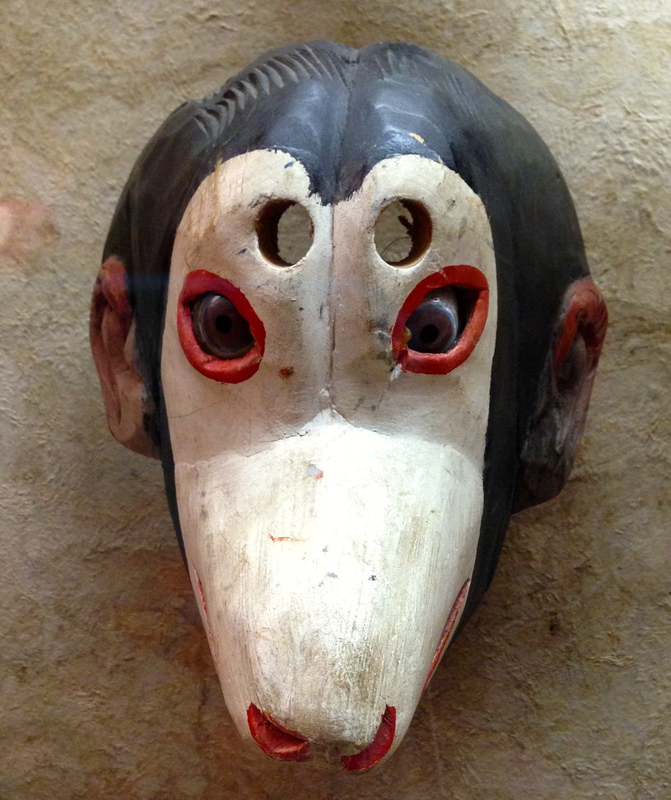 What fun it was putting “faces” to internet friends and making new connections with others. 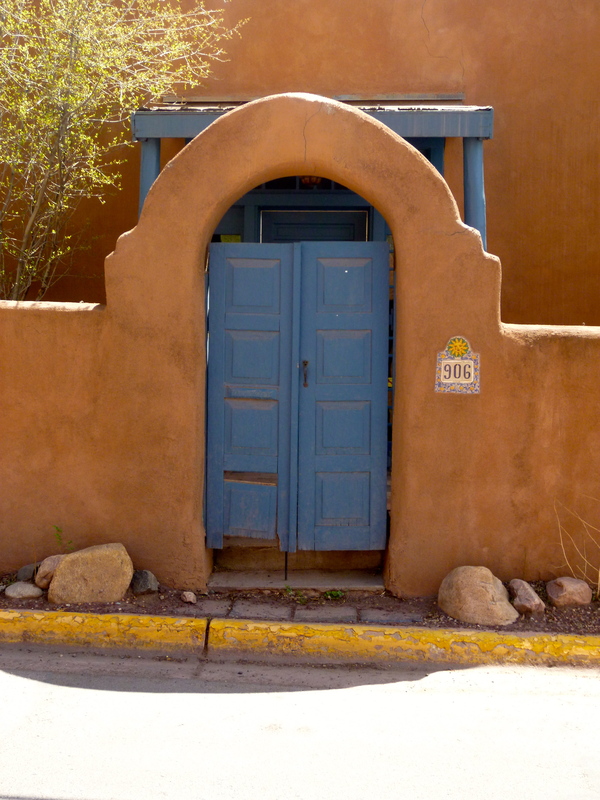 I was inspired by the SAQA presentations I attended, the city streets and the museums of Santa Fe, and the cheesecloth portrait class I took with Canadian Fiber Artist Mary Pal. 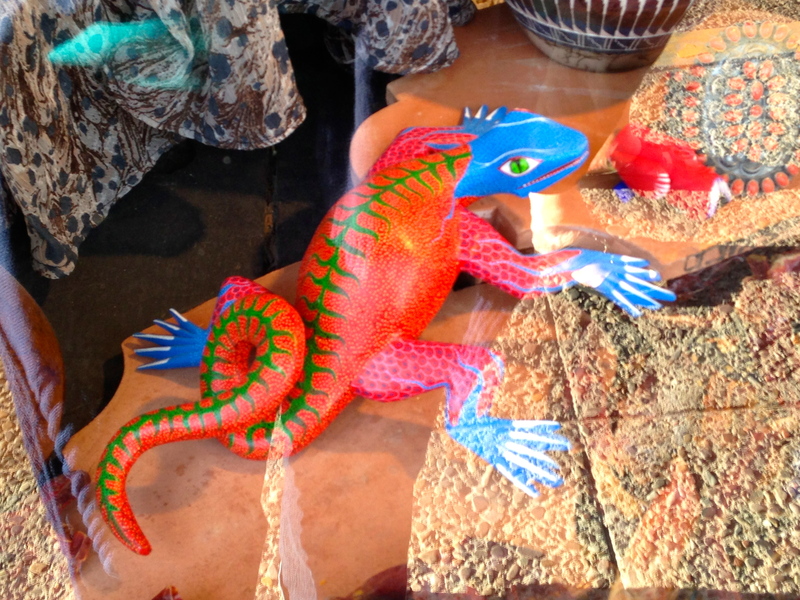 Enjoy photos highlights of my visit. 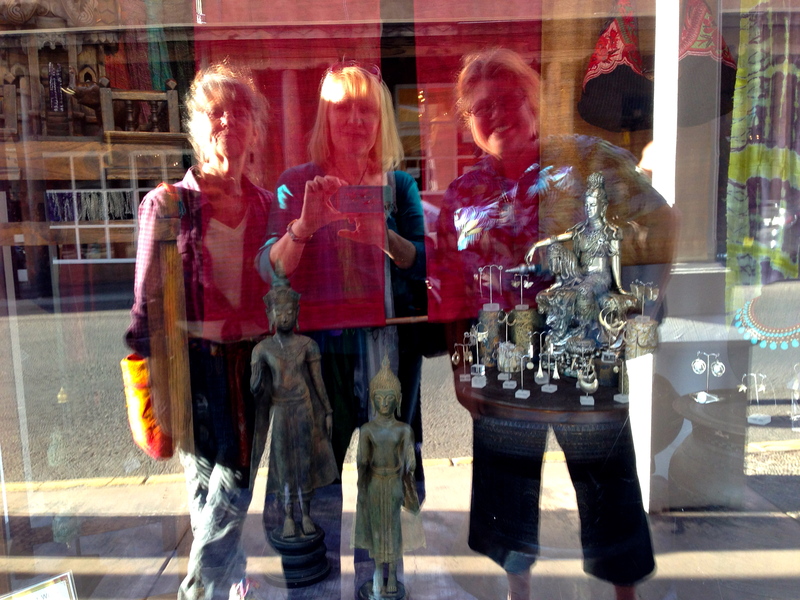 Kristina Voorhees Adams (California), Phyllis Cullen (Hawaii) and I are window shopping (I am in the middle with my iPhone)…..why do the stores in Santa Fe close so early? A sure fire way to eliminate the temptations of spending after spending day time hours at the conference. We did eat well though! All buildings must be painted in earth tone colors. 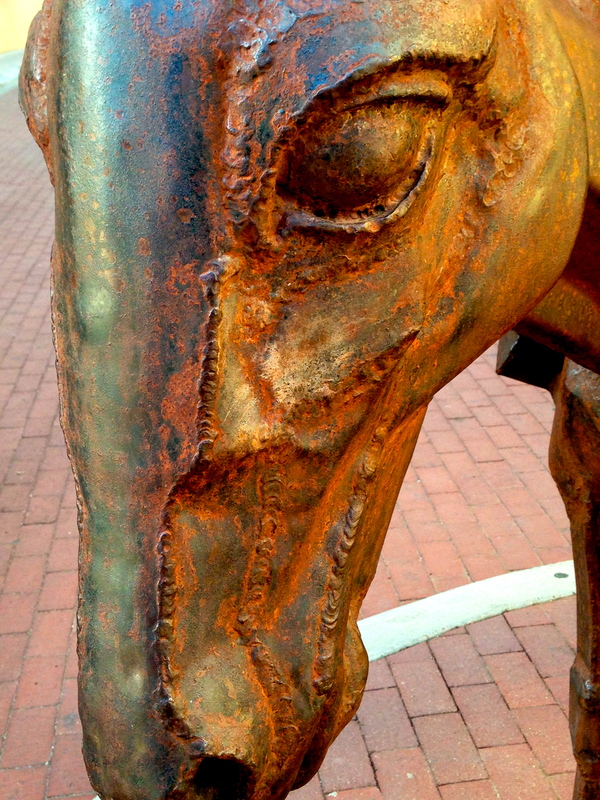 Burro Sculpture in Burro Alley–sculpture abounds all over town. 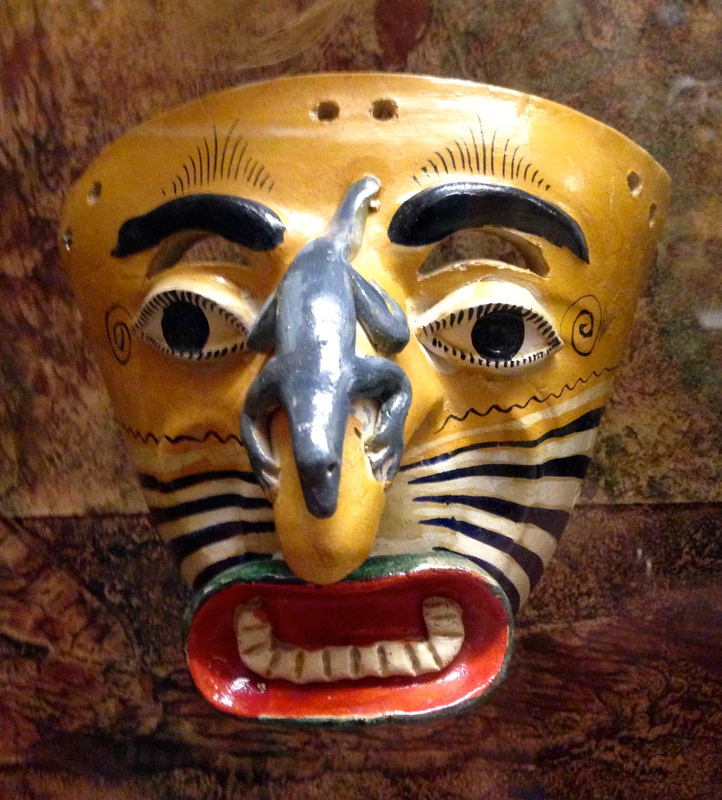 I loved the collection of folk art masks…. they are portraits after all. 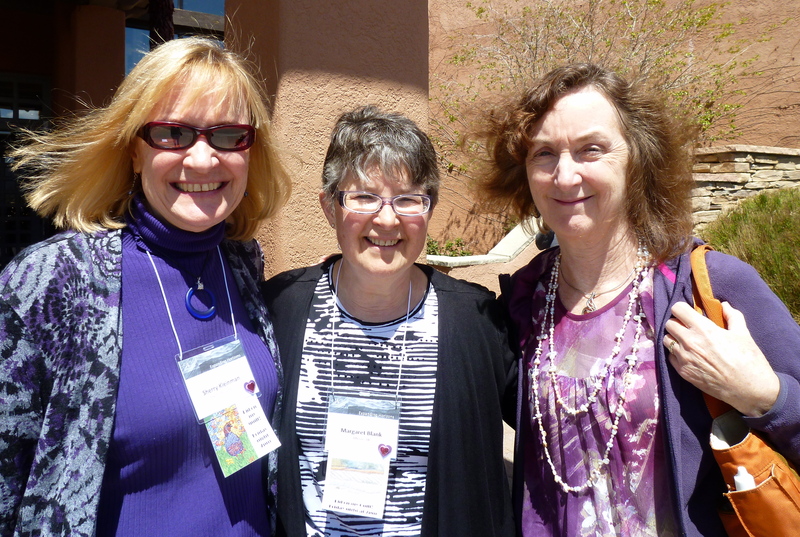 Posing with new artist friends: Margaret Blank (Canada) and Judy Warner (New York). 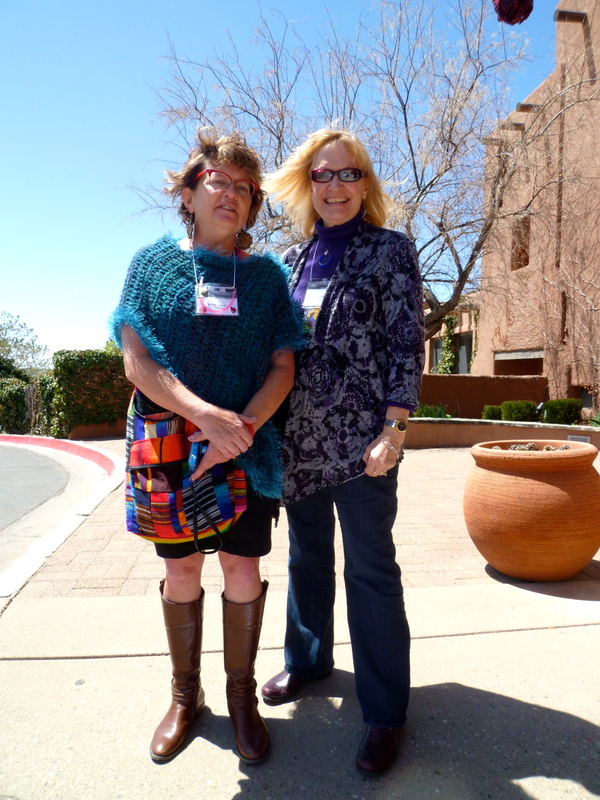 Fellow Southern Californian Fiber Artist Mary Tabar waiting with me for shuttle bus to take us gallery hopping. 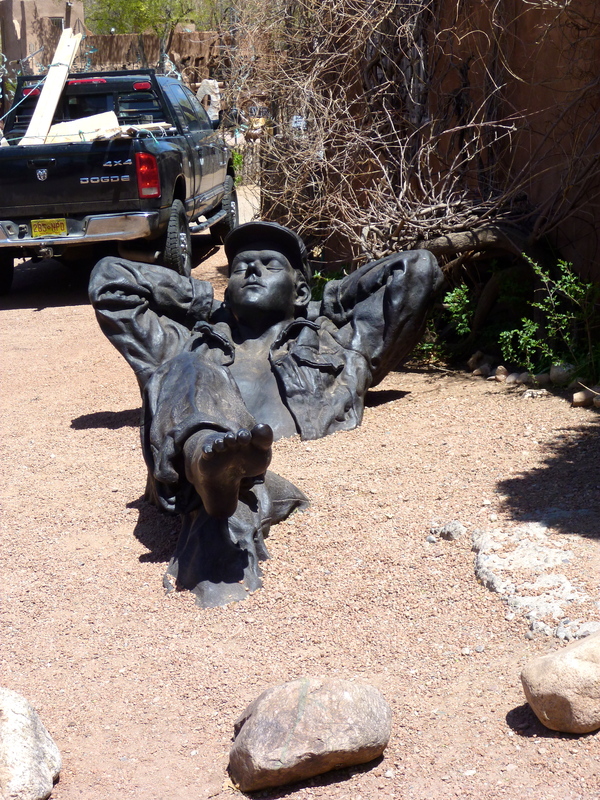 Checking out the many art galleries on Canyon Road in Santa Fe…this guy obviously needed to take a nap! 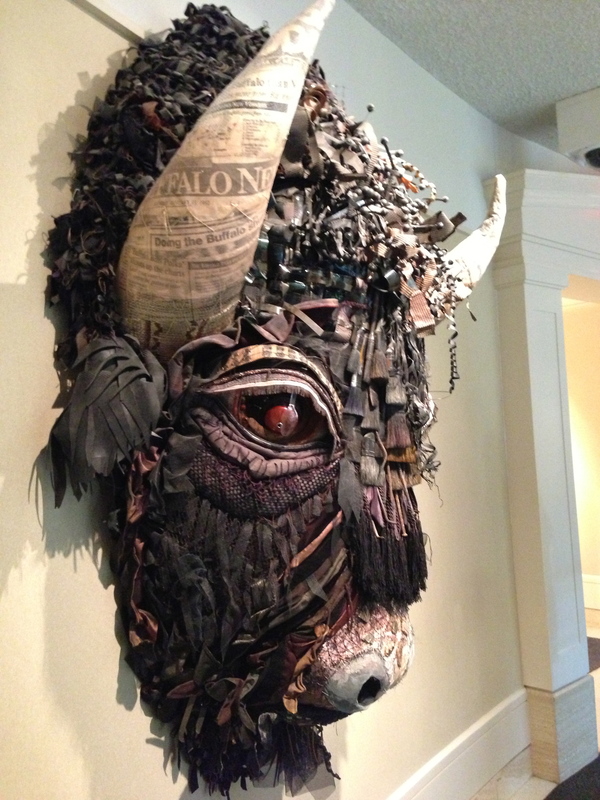 On loan from artist to Capitol Art Gallery Collection (shown in the actual Capitol Building which doubles as an art museum)—a must-see stop to view the state’s collection which was amazing. 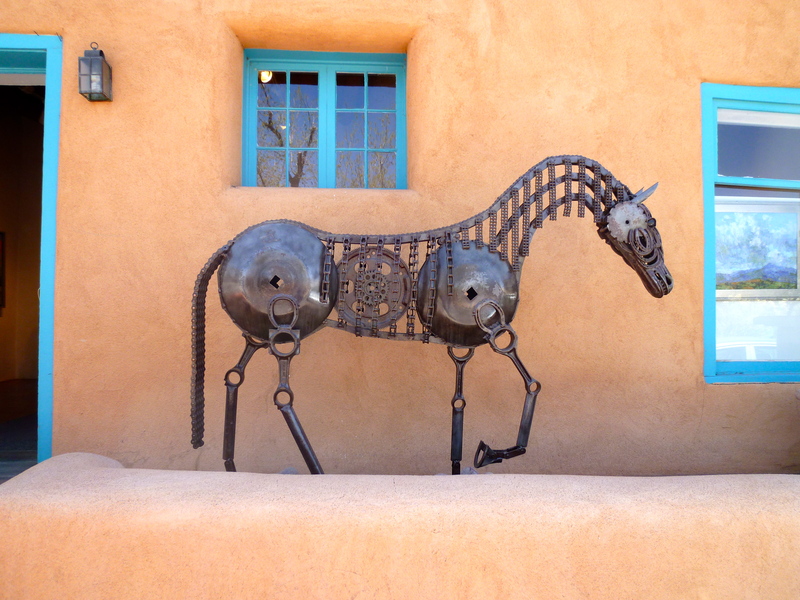 Horse sculpture along Canyon Road (home to the many galleries of Santa Fe). Santa Fe Seven celebrating Mary Pal’s class in cheesecloth portraits!! 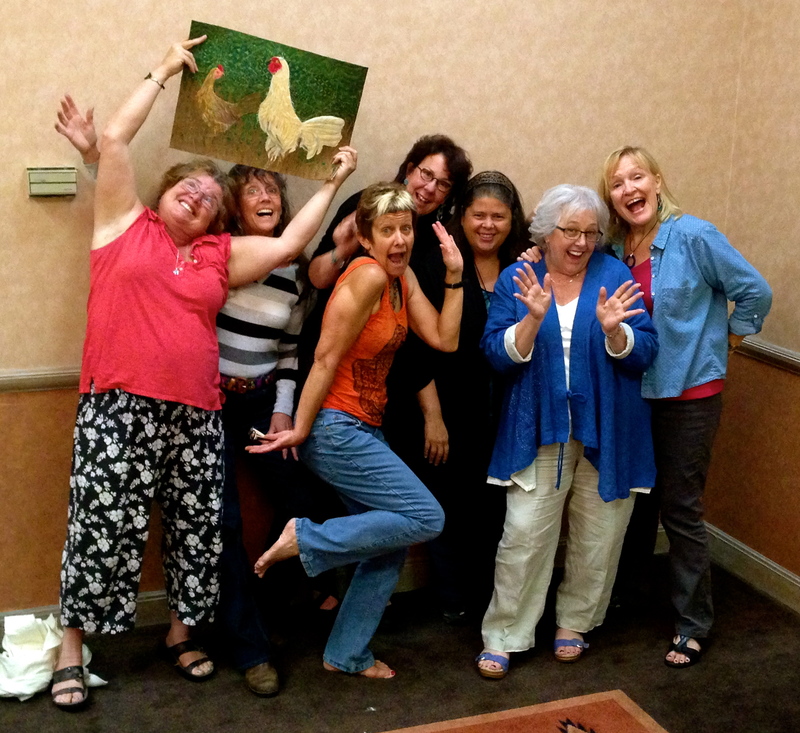 Phyllis , Kristina, Lee, Jennifer, Deda, Mary Pal, and I are hamming it up! (missing from photo is Janice). We LOVED our class and our teacher…..!! 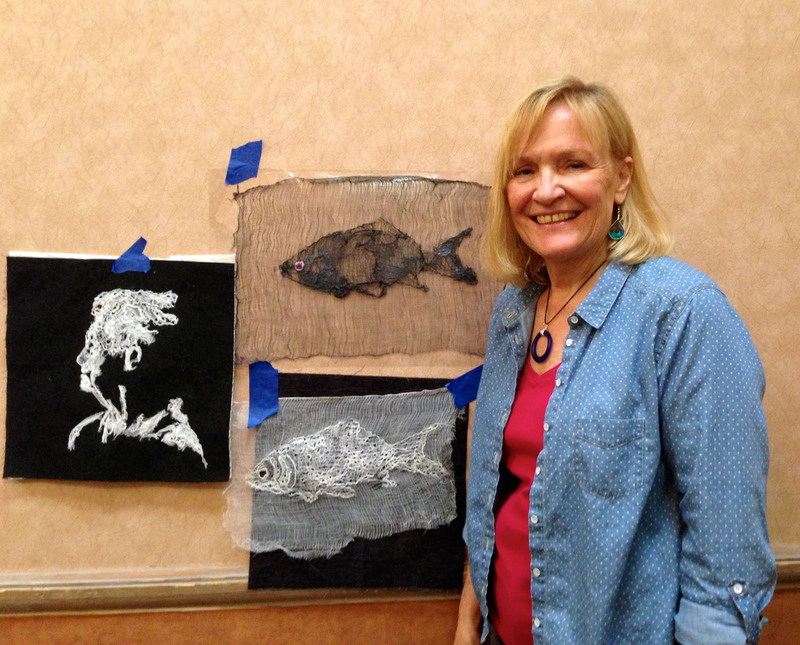 I am posing with my cheesecloth portraits: one lady and two fish! Mary Pal’s class was full of inspiration and possibilities!! I can’t wait to do more. Hi Sherry! I had a great time in New Mexico, I also got a copy of People and Portraits, congrats on being a feature artist in the book. Looks from the photos that a great time was had by all! 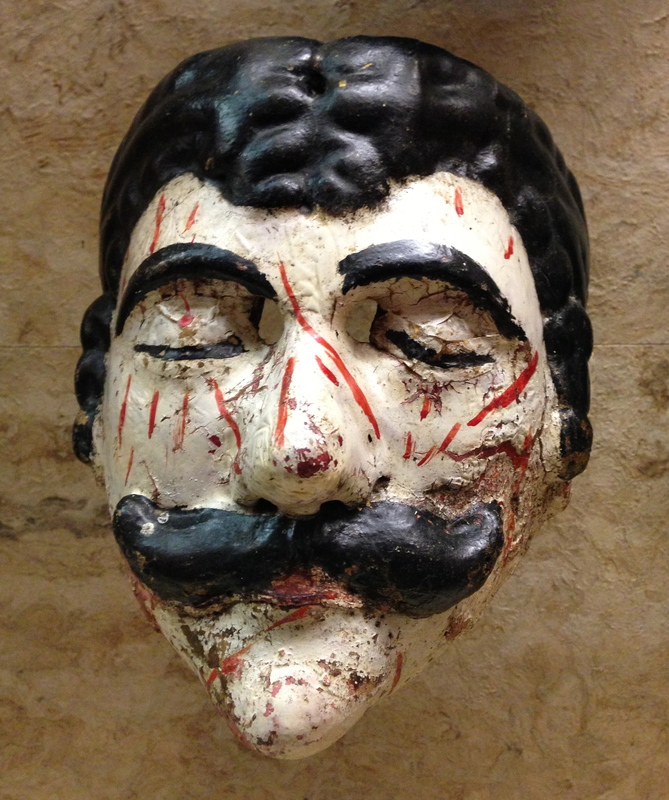 Love your cheese-cloth portraits! 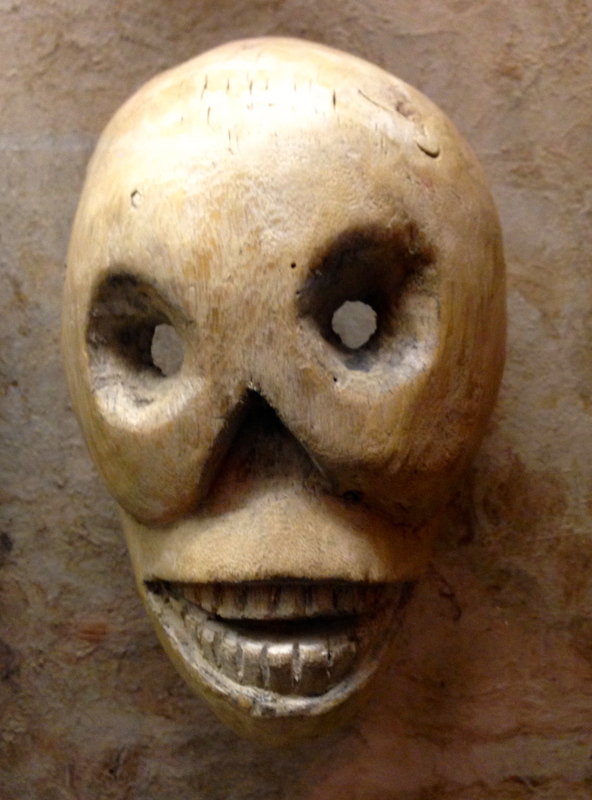 I traveled to Santa Fe, Taos and environs…including Georgia O’keefe’s ghost ranch…had a tour of her home/studio…great memories! Thanks for posting! 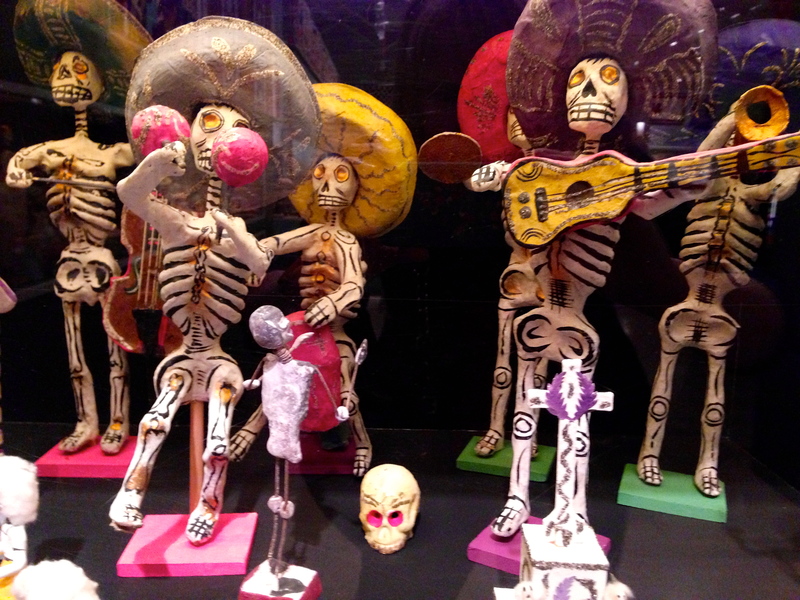 Thanks Monique…Santa Fe is so inspiring…thanks for your postcard…hope it was a good time with your parents. Fabulous photos! Can’t wait to see you and your art! Pam thanks! 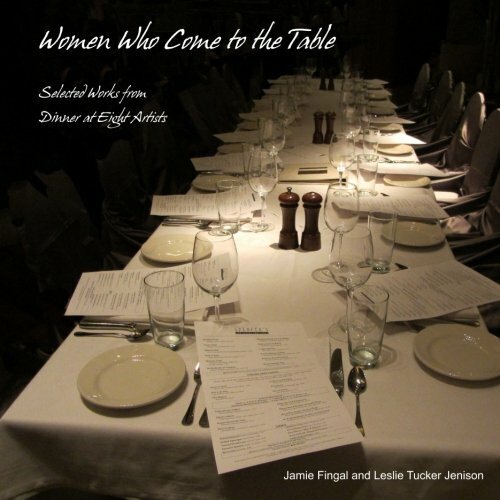 Looking forward to our “date” at your house….and catching up with each other. All I have to say is that I am VERY jealous. Great post Sherry! Thanks Maria. 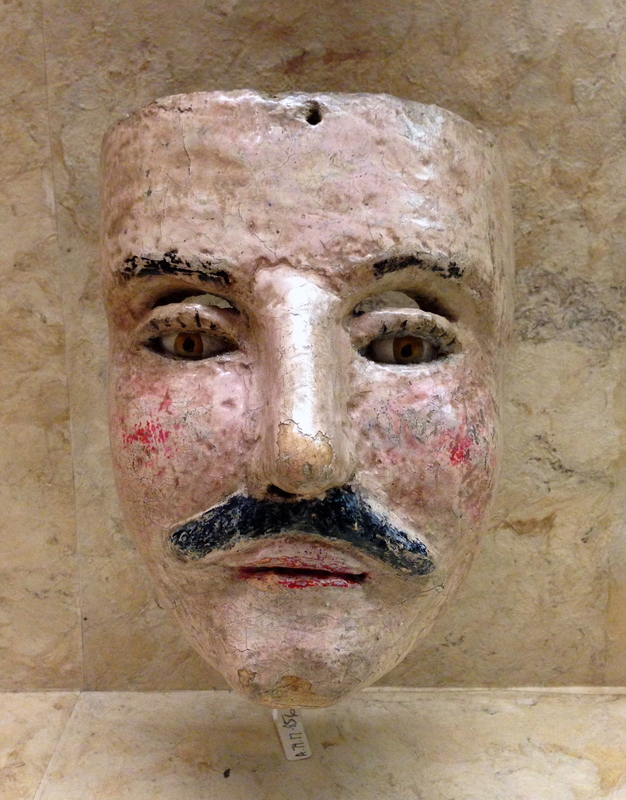 I met Cat Larrea at the conference…you had mentioned she would be there so I looked for her. She can give you a first hand account of the conference. 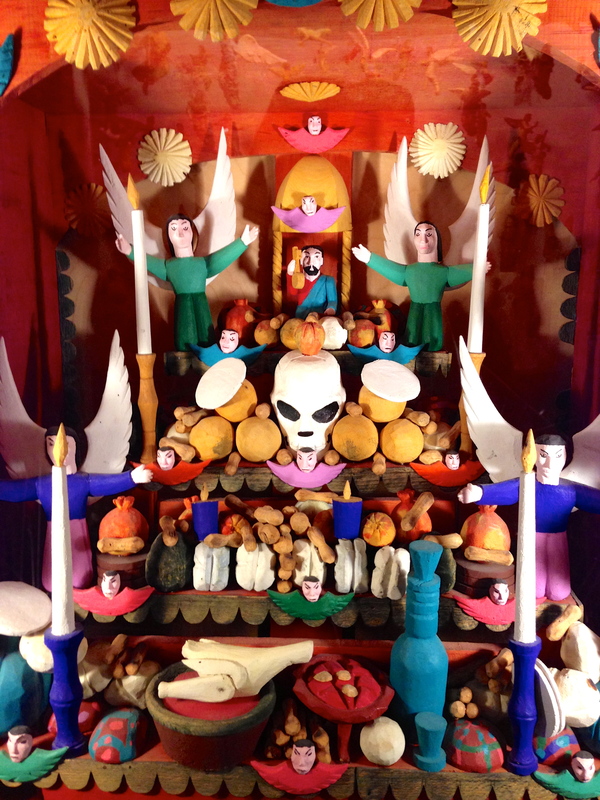 We had so much fun in Santa Fe, met so many great artists, and learned so much from the conference sessions and Mary’s class. Thanks for all the shopping and dining fun, Sherry! Great photos! 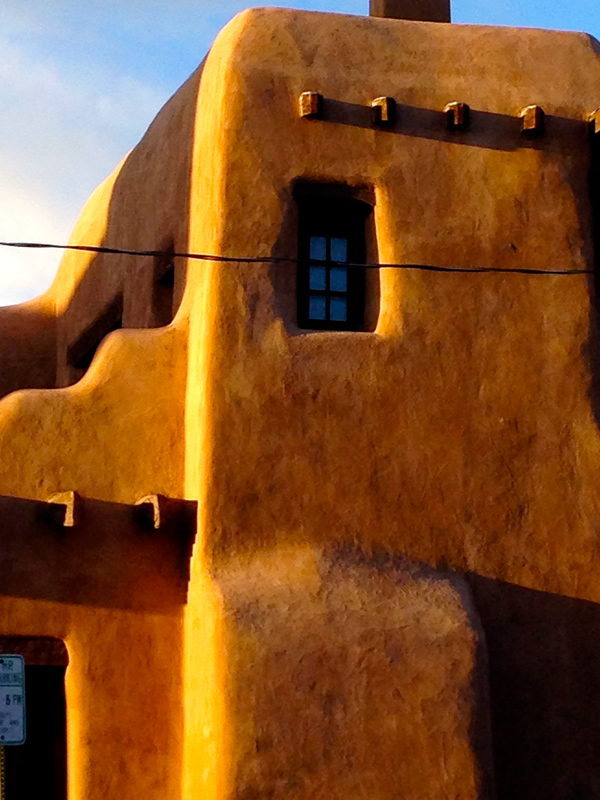 Santa Fe is one of my favorite places. I also loved the cheesecloth creations you came up with! I’m jealous too-somehow I missed that Mary was giving a class! It was great to meet you. 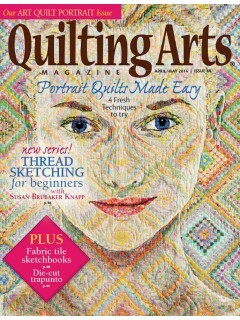 Your cheesecloth portraits are fabulous! Great meeting you too Jenny…still processing all that we learned about. OMG, I am so jealous! And here I was in Paducah, toughing out the rain and slaving away!! Will I see you on the 16th at Pam’s? Please bring your cheesecloth portraits! Yes I will be there with my cheesecloths…see you then!